This book focuses on the concept of space modulation techniques (SMTs), and covers those emerging high data rate wireless communication techniques. The book discusses the advantages and disadvantages of SMTs along with their performance. A general framework for analyzing the performance of SMTs is provided and used to detail their performance over several generalized fading channels. The book also addresses the transmitter design of these techniques with the optimum number of hardware components and the use of these techniques in cooperative and mm-Wave communications. Analyzes error performance, capacity performance, and system complexity. 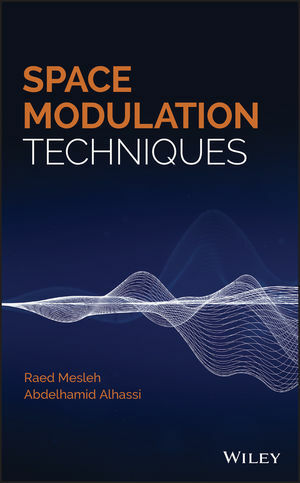 Space Modulation Techniques is an ideal book for professional and academic readers that are active in the field of SMT MIMO systems. Raed Mesleh, PhD, works in the Electrical and Communications Engineering Department, School of Electrical Engineering and Information Technology, German Jordanian University in Amman, Jordan. Abdelhamid Alhassi, PhD, works in the Department of Electrical and Electronics Engineering, Faculty of Engineering, the University of Benghazi, Benghazi, Libya.